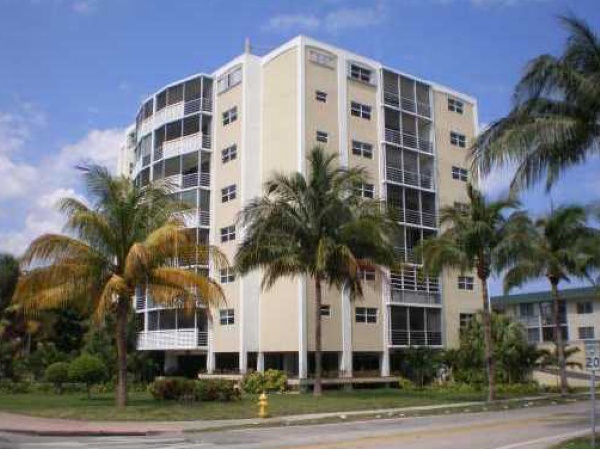 The classic Crandon Tower in Key Biscayne is a seven story building found within the heart of the island, featuring 28 Key Biscayne condos for sale available with 1,040 to 1,090 square feet of living area. Because of its position, residents of this building are largely equidistant to all of the island's sights and activities. Also, since the building is smaller, the entire living experience is much more relaxed and the amenities like the swimming are often less crowded. Spend some time swimming or sunbathing by the Crandon Tower condo's pool area or take a stroll throughout the premises and beyond and explore everything the island of Key Biscayne has to offer. Within the two bedroom residences of the Crandon Tower condo you'll find floor to ceiling windows, spacious balconies with great views of the island including the Ritz-Carlton and Village Green Park plus much more. It's really what you're in the mood for since Crandon Tower is near the best of Key Biscayne. Walk to the beach, explore Village Green Park, indulge your retail urges at the Key Biscayne Shopping Center or Galleria Shopping Center, it's all nearby. Just a bit further to the north and south are Crandon Park and Bill Baggs Park, respectively. Continue north on Crandon Park and you'll soon come upon the Miami Seaquarium, Virginia Key Beach Park and the Miami mainland.